The Relatively High Demand for Garmin Montana 610t Camo. Why? What is The Best Free GPS Navigation App? Cell Phone Dangers While Driving Even Using GPS Navigation. Use Waterproof IPhone 6 Plus Case When Smartphone is in GPS for Boats Mode. How NAVIONICS Navigation App Could Help for Safe Sailing. Free Garmin Map Updates, don’t Fall into Temptation. Why Garmin BlueChart G2 Vision Is the Best Choice for Recreational Marine Charts. MacENC Marine Navigation Software all Fits in MacBook use. Does Nobeltec TimeZero Cutting-edge Navigation Software Fits my Needs? My Experience with MaxSea Navigation Software. My Sea Voyage Story on Jeanneau Prestige 36. The First Successes and Mistakes of my Boat Trip. Next Stage to Kiel Holtenau Includes Inshore Sailing. Kiel Canal Transit and Lessons Learned on the Way to Den Helder Holland. Expected Short Stopover in Den Helder The Netherlands Turned into the Two-Day Unforgettable Stay. Docked at Haven Marina and Relax in Hotels Lowestoft. Is it Possible to Install GPS Tracker in Dogs? What is GPS Tracking Device for Cars? Is Passive GPS Tracking the Only Solution When Cellular Signal is not Available? GPS Tracking Devices for Automobiles and Kids. Does GPS Tracking for Dogs and Cats Really Helps? Use GPS Tracker for Drone to Find Your Quadcopter. My Sygic GPS Navigation App Review. Is Rand McNally OverDryve 7 GPS the Best Way to Update Your Old Car? The Becker Map Pilot Still Is Widely Used for Mercedes Cars. Magellan Roadmate GPS Ever Going to be in My Car? Short Insight on Volvo Navigation System. How to Choose a Caravan Sat Nav for a Pleasant Holiday Trip? Garmin GPSmap 478 GPS Receiver still in Solid Position. Does NEXTAR GPS Navigation System Still fits in Brand? 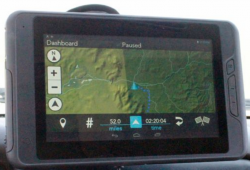 Can you Actually Save Buying a Cheap GPS Navigation System? Is Lowrance Boat Box Bundle Worth the Money? Garmin Marine GPS System is Just as Popular as the Garmin GPS for Cars? Humminbird GPS Heading Sensor is the Really Helpful Device. What is the Best GPS for Boats? Small Boat Radar Systems Becomes More Advanced and Cheaper. Why to Choose Cobra Marine VHF Handheld Radio? Marine Batteries Deep Cycle Integral Part of Boat Equipment. Used Marine GPS for Sale, Why Not? Furuno Marine GPS Continues to be a Favorite Brand For Professionals. Quick Look to the Lowrance GPS Fishfinder Combo. I Prefer to Choose GPS for Sailboat from Raymarine, Garmin or Humminbird. Marine Traffic AIS Vessel Tracking and my Job. Is it Worth to Buy Humminbird 409620-1 HELIX 5 DI Fish Finder with Down-Imaging and GPS. Short review. Perfection and Elegance of Seiko GPS Solar Watches. Use GPS Tracker TrackmateGPS Hydro to track Jetski, Boat or Bike in the Best Way. My Conclusion Is That iTrack 2.0 Fits as GPS Tracker for Boats. Garmin Nuvi 55LM GPS Navigation System #1 Best Seller. Why? TomTom Via 1505m World Traveler Edition GPS Navigator with Lifetime Maps is Smart Decision. Three Years and 24/7, Dashboard Camera BlackVue Wi-Fi DR500GW-HD Still In Perfect Shape. Trail Tech Voyager Pro the Best GPS for Off-Road Trails. How Popular is ATV Storage Box Seats? What is the Best GPS for Hunting? Garmin Approach S20 Golf GPS Watch Is a Good Choice. Is Navdy HUD a Step to the Future? What is the Best GPS for Snowmobiles? I would never have written about Garmin Montana 610t Camo portable sat-nav device, but…But I am encouraged by the fact that through my website during three-month time have already purchased five of these devices. I am not promoting this particular, to be honest, not so cheap portable satellite navigator. Obviously, my site’s content encourages people to search for the more suitable solution. 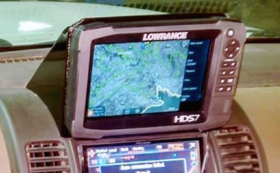 Before I continue to my review about Garmin Montana® 610t Camo sat nav I would like to notice, why I am not calling this device in such a common name as GPS? BeiDou-Chinese local, confused data, but about to complete this or next year. So my given Garmin device and many others can receive and calculate signals for GPS and GLONASS, so why it is named as GPS? Well, it is just lyrics. Why Montana® 610t Camo is so popular? I don’t like to rewrite publicly available information in details but, naturally that also something will be repeated which never can be avoided doing a product reviews. One more thing I’d like to notice. If you are one of those who is convinced that smartphone is the only solution for any navigation options, so bye, bye. It is not for you. Just scroll back your memory after $800 worth iPhone not responding to any actions when accidentally got some water splashes on it. Garmin Montana 610t Camo handheld GPS, GLONASS sat navigation device is a universal global positioning apparatus. It could be used in almost any situations whenever obtaining a very precise geographical coordinates are essential. Ideal for hiking, hunting, geocaching, rafting, boaters and to be in touch with fellow colleagues using mutual communication features. Good 4-inch glove friendly touch screen perfect in direct sunlight. Mount anywhere you like on ATV, boat or bike. Even use as GPS for cars after loading City Navigator maps or searching favorite fishing spots using BlueChart® g2. Sharing anything you want with other compatible Garmin GPS users. Nothing is perfect and after searching unmet users reviews not so many were found. One silly Amazon commenter gives only one star because of lack of 12V charger. I even do not like to spend a time to comment it. Other argue about absent of lanyard and SD card reader function detailed explanation; I guess it is just a joke. I never met e.g. any mobile phone sold with the protective case or so. for the USA users the price includes preloaded TOPO U.S.
From the first sight, the price for Garmin Montana 610t Camo is relatively high. Do not forget that for the USA users, the price includes preloaded TOPO U.S. 100K maps, a 1-yearBirdsEye Satellite Imagery subscription. A much different situation is for European fans. For instance, outdoor maps in the United Kingdom, according to Garmin, cost $125.99 and Montana 610 price in Amazon.co.uk for today is ￡355. 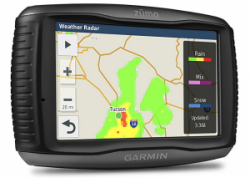 Just to be clear I take a look the local Latvian Garmin dealer website Garmin.lv and surprisingly found that Montana 610 LM with local Latvian TOPO road map included. Even most of lakes and marine detailed maps for fishing and divers. The Great discovery for me and device is on my wish list. My conclusion. Far-reaching handheld sat nav device ( or GPS if you like it more) for outdoor activities. 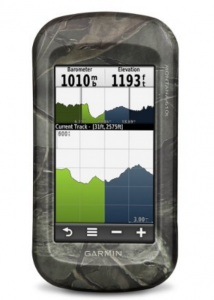 You can found a cheaper GPS device, but Garmin Montana 610t Camo ticks all the boxes so that you can easily find your best trail on any outdoor activities. It will be great to read a real user comment if any read my post. Maybe at least one of those guys who purchased this Garmin Montana device after surfing my website? Another option is more pricey brother Garmin Montana 650 and loaded with TOPO 24K seems to be a serious device for ATV, hiking and other off-roaders. Welcome for comments and constructive negotiations. It’s been two weeks since I wrote this review, and two more people have bought the Garmin Montana 610 GPS navigators. In my opinion, this is an excellent indicator, if one takes into account that the competition is high. Previous Previous post: How to Choose a Caravan Sat Nav for a Pleasant Holiday Trip? Next Next post: Quick Look to the Lowrance GPS Fishfinder Combo. Does Magellan eXplorist TRX7 is a Good Choice for GPS for UTV? 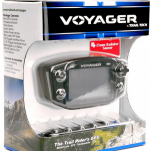 Trail Tech Voyager is the Best Choice for The Trail Rider’s GPS. What Is the Best GPS Snowmobile Trail Maps? Cik es sapratu jūs saprotat arī latviski un man vieglāk jautājumu būs uzdot latviešu valodā. Mani ļoti ieinteresēja šis konkrētais Garmin GPS aparāts, jo tanī ir iespēja lietot Latvijas ezeru kartes. Es papētīju garmin.lv mājas lapu, bet tā īsti skaidrībā netiku. Man konkrētais jautājums ir, vai jums ir pieredze ar šīm Latvijas topo kartēm un, ja ir, tad vai ezeros rāda arī dziļumus un grunts reljefu? Paldies un lieliska web lapa. Ļoti patika ceļojums ar to motorjahtu uz Angliju. Paldies par komentāru un atbildot uz jautājumu varu teikt tā- Godīgi, pats neesmu tās kartes uz Garmin GPS navigatoriem lietojis, bet ir neliela pieredze ar papīra topo kartēm un, cik zinu, tās arī ir kā bāzes informācijas avots kuru lieto arī Garmin GPS. Šīs kartes ir lieliskas ar daudzām taciņām un lauku celiņiem kur var izbraukt tikai ar pilnpiedziņu un arī en visur. Lielais vairums info ir vēl no krievu laiku militāriestiem un tiem pija lieliska kartogrāfija. Ezeros dziļumi ir doti, bet ne visos. Nedomāju ka šī hidrogrāfiskā informācija ir ļoti precīza un izmatot to drošai navigācijai nebūtu vēlams. Kas atiecas uz copi, tad droši var lietot lai aizairētu līdz kādai dziļākai izobātei vai bedrei. Lai veicas ar Latvijas ezeru apceļošanu! I live in Colorado, USA and am about to go pick up a Garmin 610T package for US $369 at Cabela’s, which is being bought out and shedding inventory. This price is good on web through tomorrow. Hi Myles and thanks for stopping by. This good price for Garmin 610t for the new unit. Although Amazon sells it for $390 new unit. It is not so large price difference, and you can return it if you do not like it. Just likely it is not a case to return this item as none of my fifteen buyers did it. Now more and more buying Montana 680. Good luck. Recently purchased Montana 610t. When sitting in a single location for any duration the arrow (my location) “floats” wildly all around. When leaving and returning to same spot and creating another waypoint, it is significantly separated from the first. Have done this in multiple locations, some with very good reception. My previous unit was a 62t and it did not do that at all. Do I have a defective unit? Hi there! The first you can do is try to calibrate the compass manually. Garmin Montana 610t is dual satnav (GPS and GLONASS) device so no blank reception zones except deep caves or tunnels. If calibration does not help, try to reset to factory default. When it does not help then, unfortunately, it looks like a defective unit. I have had a the 610t Camo for about 6 months now and I find it rather useless most of the time. I am avidly exploring off road trails and forest roads and 99% of the time I go back to my Android smart phone. I keep the Garmin with me as a backup, just in case something goes wrong with my phone, but the $7 app I use on my phone works 10,000x better than the Garmin and is more user friendly. The other thing that frustrates me about the Garmin is the lack of ability to categorize my tracks and waypoints with folders. How stupid is that? In Garmin Basecamp, I can organize my trips with folders and lists, but in the Garmin device it’s just a cluttered mess which, to me, is a reflection of the laziness of the device developers. The resolution is also comparable to that of mid-2000’s flip phone. The hardware is durable and definitely the better choice over a phone for outdoor use, rugged use, but the functionality and user interface for a device costing as much as it does, is laughable at best. It’s like going back in time and playing an Atari video game compared to a modern system like the PS4. If I hadn’t received this thing as a gift, I would gladly sell it at 1/3 the price, I personally would not spend more than $50 on this unit. Thanks for the comment. The feedback of real users is always worth gold. I have a couple of questions. What off-road vehicle do you usually drive? How do you protect the smartphone from the cold if you use snowmobile at low temperatures? How let’s say, the iPhone is affected by vibration and how is it charged? Have you tried to use Trail Tech Voyager Pro? Thank you. I was definitely a little harsh in my original comment, the Montana’s build is of great quality and I know it is not really fair to compare it to a smart phone. I spent a little more time with it the past week or so and was able to install some free 3rd party maps, and in all fairness, the device routes pretty well now. I also purchased a 3rd party map that has very detailed, specific data regarding 4×4 trails and U.S. B.L.M. roads in areas I frequently explore. I have a 1999 Mitsubishi Montero, so the type of off-roading I do doesn’t expose the phone to the elements when compared to a snowmobile or dirt bike. Like I said in my first comment, the Garmin is definitely much better suited for such harsh scenarios. I use an LG V30 Thinq Android phone for 90% of my navigation purposes. I use an app called GPX Viewer Pro, which includes pretty decent offline maps when out of cell coverage. It has the ability to track/record your routes as well as save waypoints, import/export/create GPX files etc. It’s definitely not as robust as the Montana 610t, but for my specific situation, I find it easier to use and the brighter/higher resolution screen makes it much easier to view IMO. I still never head out on the trail with just my phone though. I’ve never heard of Trail Tech Voyager Pro, I’ll have to look it up. My biggest complaint with the Montana is not having a good way to organize all your objects (tracks, waypoints, etc) within the Garmin unit. It would be much better, IMO, to be able to create folders or containers for specific areas or trips like you can already do in Garmin BaseCamp. I’ve kind of came up with my own method of using BaseCamp to create GPX files for preplanned trips that I then import into my Android device to use as my primary navigation. I also copy the same objects to the Montana and have it in my Glovebox ready to go in case something were to happen with the more fragile smart phone. Thanks for such a detailed comment. In your case, if you are using Mitsubishi Montero or another four-wheel drive car, then I think a smartphone is the best solution for off-road trails. 1. What is the Best GPS for ATV Trails? 2. What is the Best GPS for Boats? 3. What is the Best GPS for Snowmobiles? 4. The Becker Map Pilot Still Is Widely Used for Mercedes Cars. What Is the Mavic 2 Zoom? Garmin Striker 4 Bbuilt-in GPS Fish Finder for Ice Fishing Best In Budget Range. Andrejs on What Is the Mavic 2 Zoom? Marios Tofarides on What Is the Mavic 2 Zoom? Dhayours on What Is the Mavic 2 Zoom?